Well that feels better! 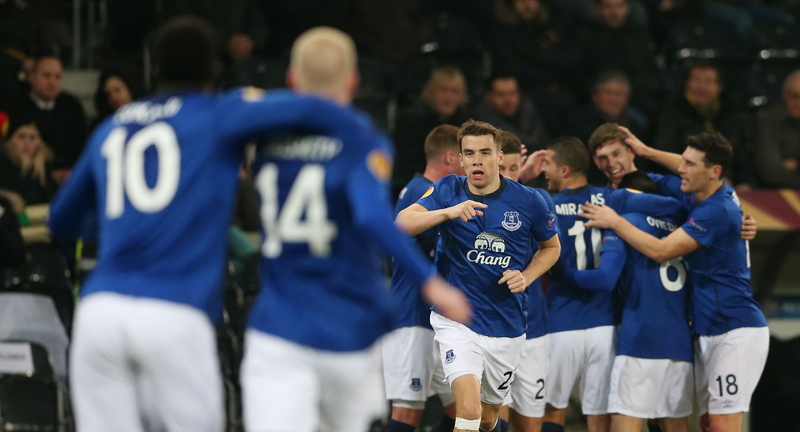 Everton produced an exhilarating performance as they placed one foot firmly into the last 16 of the Europa League with a 4-1 demolition of Swiss side Young Boys. Yet again in this European campaign the Evertonians travelled in their thousands and they were richly rewarded with Roberto Martinez’ men playing with all the arrogance he regularly demands. As normal, we have selected three talking points from last nights match. 1. Just over a week after his careless post match comments suggested that Romelu was looking for a way out of Goodison, the Belgium striker showed his unbelievable potential with a perfect hat-trick. When he plays like this Lukaku is almost unplayable and in truth he probably should have scored five!!! 2. Everton’s movement in and around the box was sensational. Many Evertonians have been crying out for this type of performance in the Premier League, with Barry, Naismith and Barkley in particular causing the Young Boys backline all sorts of trouble, with clever passing picking out the on-rushing fall backs with unerring regularity. 3. John Stones, who is much vaunted on this site, still has plenty to learn. On more than one occasion the young England centre back was caught dwelling in possession and this finally led to his sending off, as he clumsily tried to grapple his way goal side of Hoarau, the 6 foot 4 inch Young Boys striker. Previous Post Europa and Bust?